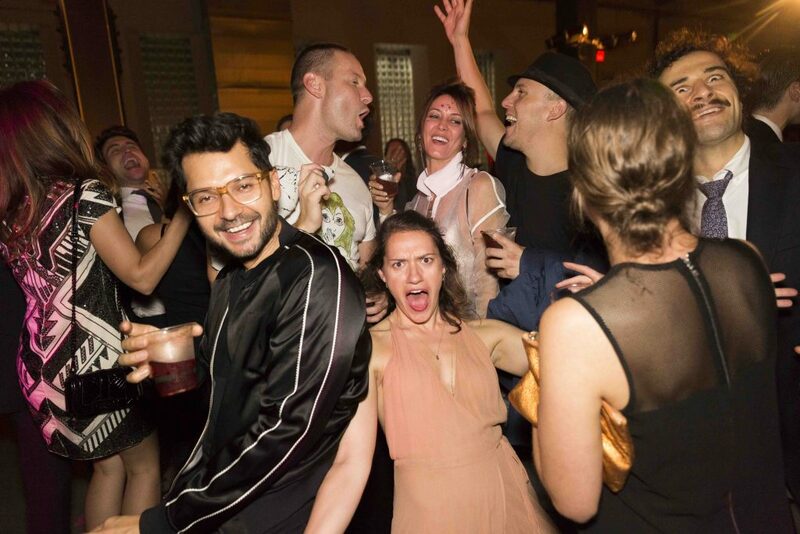 In this exclusive interview with Brett H. Schneider and Lizzie Hodges, we “unpack” after the Beaux Arts Ball, the Architectural League of New York’s annual gathering of architects, designers and engineers. Schneider was selected to create this year’s featured installation and asked Lizzie Hodges, his coworker at Guy Nordenson and Associates, to assist him. 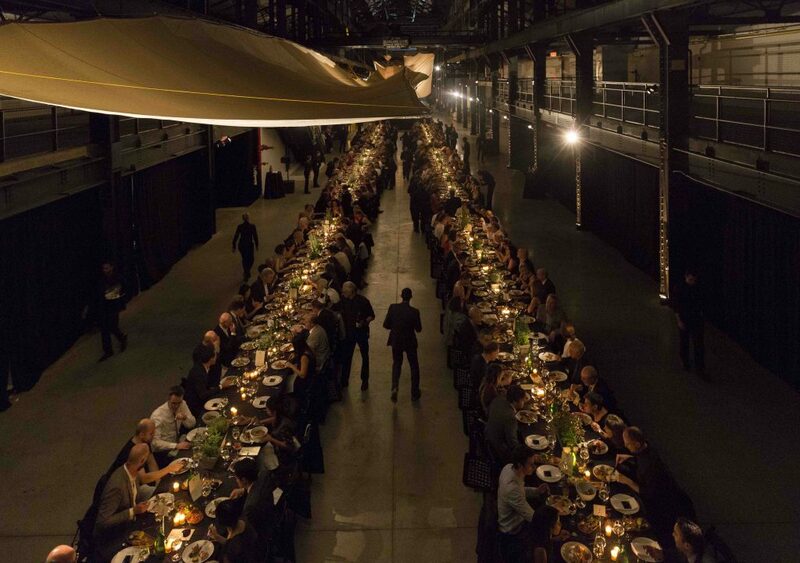 The final work, “Unpacking,” comprised a raw fabric wave that snaked above the heads of over 1,300 guests inside the cavernous Mast Brothers’ chocolate-making facility at Brooklyn Navy Yard. As the suspended, artful structure played with shadows, it was easy to forget the nearby sacks used to transport the company’s cocoa beans used the same burlap material. The translation of form expressed well the theme of the evening’s festivities: Alchemy. Engineer Brett H. Schneider met the exciting challenge of converting a humble fabric material into inspiring art. Engineer Brett H. Schneider worked with Lizzie Hodges on the overhead installation. 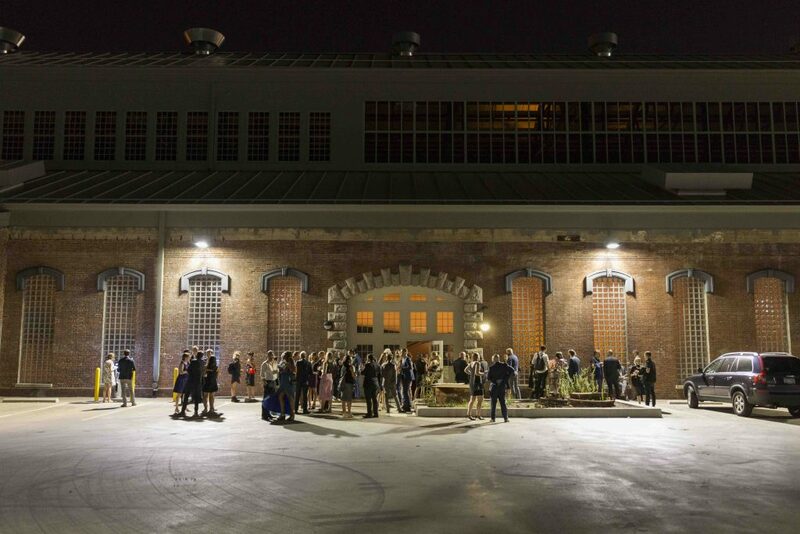 The Architectural League of New York hosted this year’s Beaux Arts Ball at Brooklyn Navy Yard. 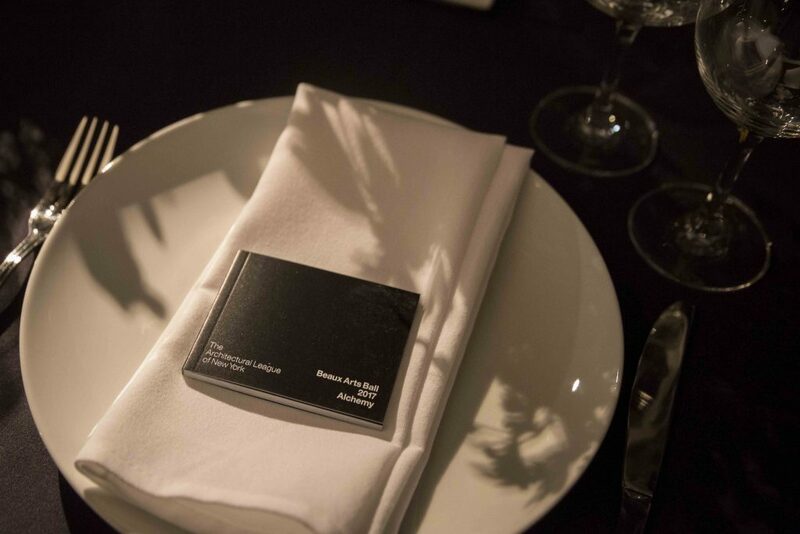 HD Architectural: I loved how “Unpacking” fit the Alchemy theme, and yet, for many guests, was a clever surprise. Can you speak to your decision to lend such a beautiful treatment to such a simple material? Where did the idea come from? Brett H. Schneider: “We knew that in order to address such a large space that we needed to keep the overall form simple. I had recently done a much smaller installation suspending plastic tarps and initially thought greatly expanding the scale of that application was a good way to start. 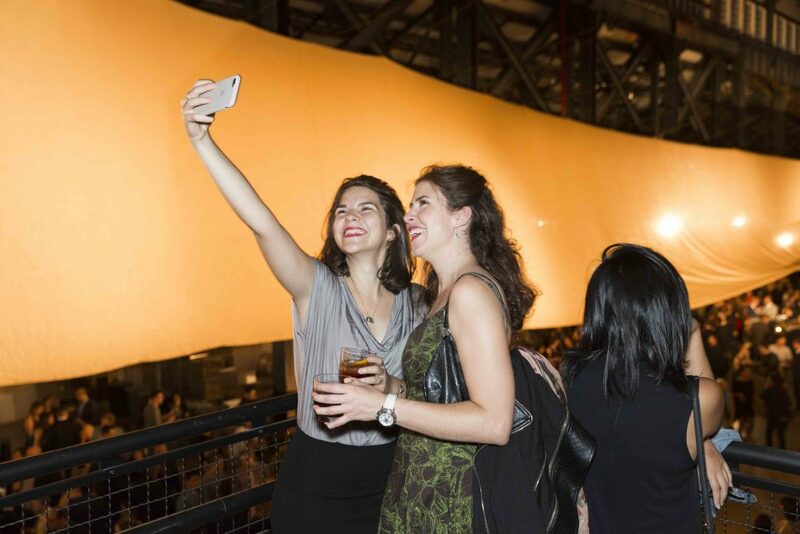 Inside the 65,000-sq.-ft. industrial space, architects, designers and engineers mingled. 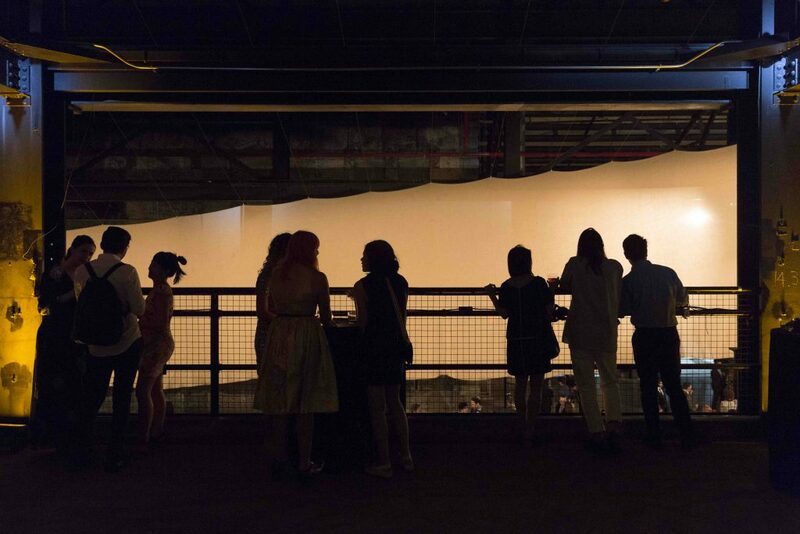 Guests were greeted by a site-specific installation made of raw, loose woven fabric draped from above. The featured installation, “Unpacking,” was created by Brett H. Schneider and Lizzie Hodges, both of Guy Nordenson and Associates. 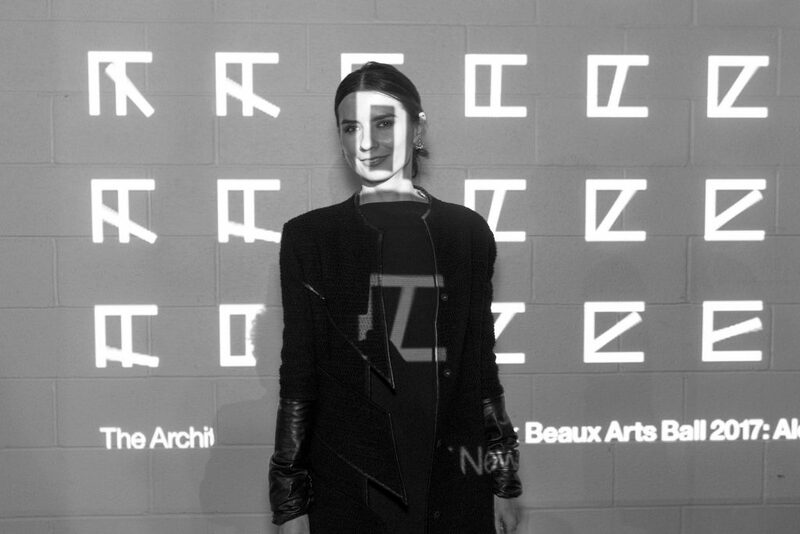 HD Architectural: What does it mean to each of you to have been selected to have your installation play a central role at this year’s Beaux Arts Ball? HD Architectural: Why is it important for the NY design community to connect and to support organizations like the League? The “party space” is actually a roasting, processing and manufacturing site for Mast Brothers chocolates. The duo reconsidered the natural fabric from sacks used to transport cocoa beans. 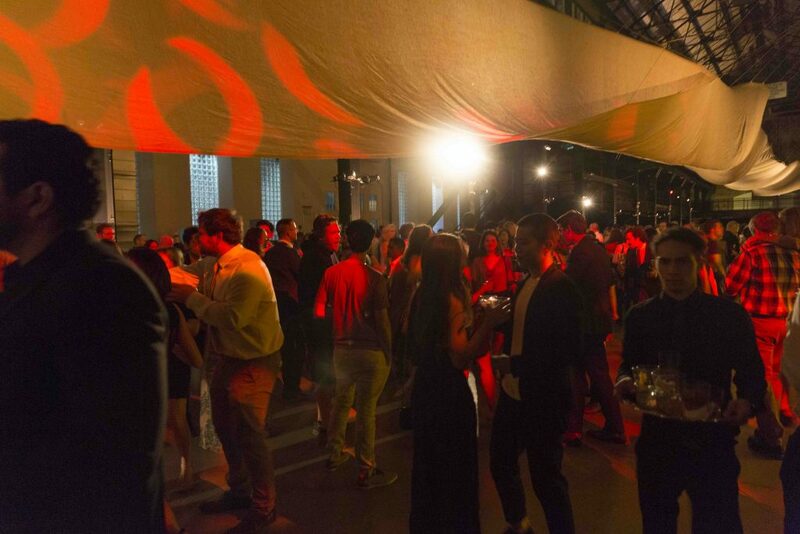 As proud sponsors, Hunter Douglas Architectural joined the fun at the Beaux Arts Ball. 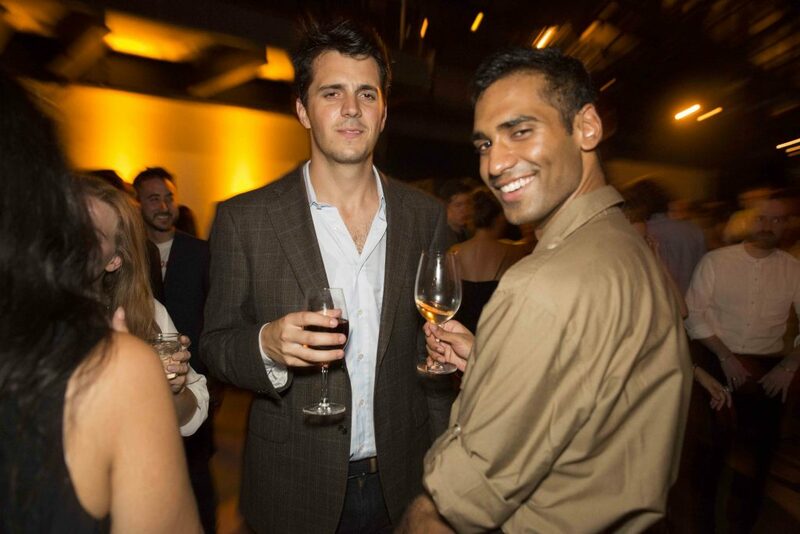 For more pictures of the dinner and afterparty, click here. Images courtesy of Leandro Viana.